What beautiful flowers in mass. 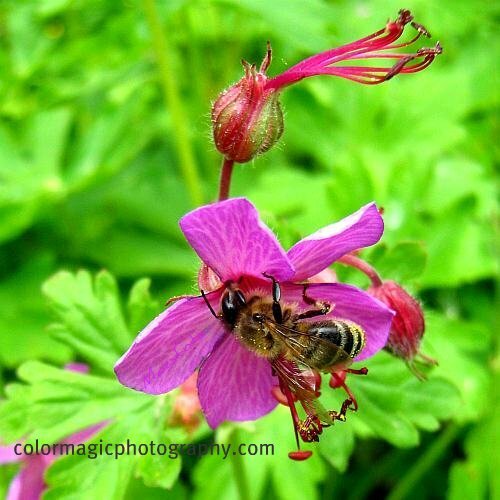 A terrific macro of the bee! Maia, what a cool flower and thanks for the information on it. An EXCELLENT bee macro, Wow! Beautiful photos Maia. 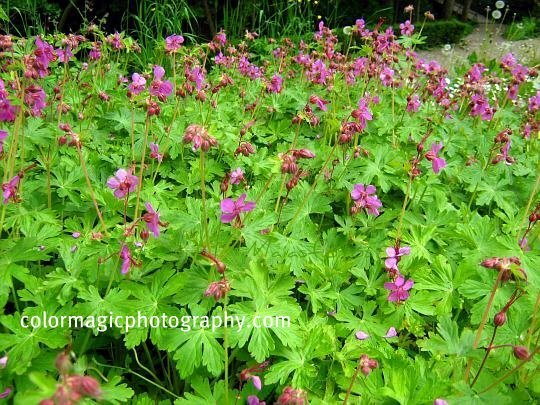 Cransbill is one of my favorite summer flowers. I'm not sure if mine survived the winter, but if not I will replace it. So glad you are back. I have a very, very similar flower in my yard, but flat flowers and smaller, rounder leaves. Definitely a cousin. And a tough little guy! Nice and smooth tones and excellent smooth texture. A beautiful flower. Very sensual warmth of tone. Very beautiful photos. autumnleaves also will be pretty. Your link should be a permalink, not your entire archive. Lindos gerâneos! Amei a cor rosa delicada! What an unusual and beautiful flower. You did an excellent job catching that big ole bee so well. Wow, that's a great macro of that bee!